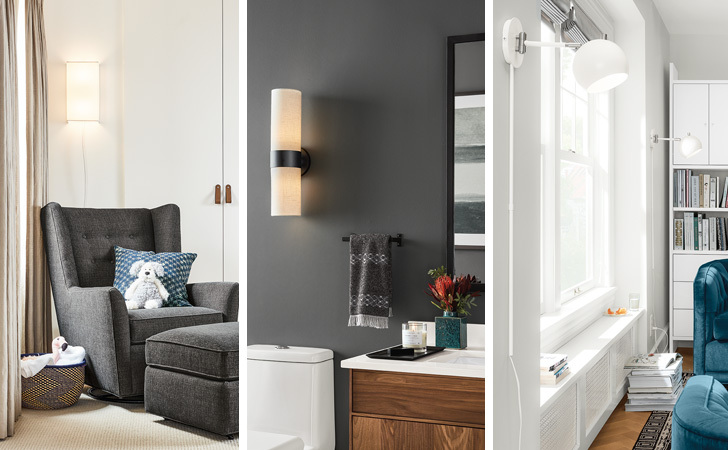 Whether you're looking to add function or amp up your style, a wall sconce comes in a wide array of looks and serves many purposes. A wall sconce can provide the main light source in a space, illuminate architectural elements or artwork, add task lighting or serve as decor on its own. There are two types of wall sconces: plug-in or hardwired. Scroll on to find the one that best fits your style and needs! 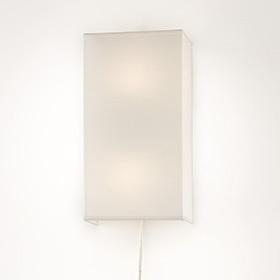 If you love a clean look with no cords, a hardwired wall sconce is the best choice. Although they require an electrician for install, the end result makes a big impact. Inspired by the opening of a moonflower, the Floret series is sculptural and contemporary. The simple form is created with sturdy sheet steel and powder-coated in a matte white finish that adds softness to the sleek, minimal design. Designed to hardwire to the wall in any orientation you prefer. This modern wall sconce pairs the architectural lines of artisan-welded steel with a cylindrical shade for a study in complementary shapes. Leslie can be operated by the pull chain or controlled by a wall dimmer switch. 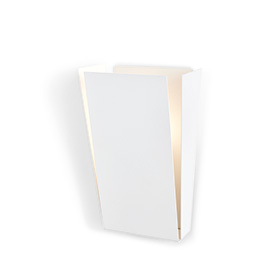 With a narrow profile, this wall sconce is a great solution for small spaces. We worked with our manufacturing partners in Vermont to design Dambey, which features a solid wood base holding two glass cylinders nestled inside one another. The inner layer is opaque to give off soft light and the outer layer is clear for a sleek finishing touch. Simply plug these wall sconces right into an outlet, no need to call an electrician. Plus, moving them around the house when you need a refresh is a breeze. 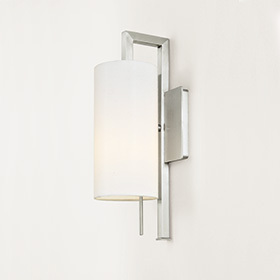 The Lantern wall sconce has simple, elegant appeal that pairs artisan-welded steel with a crisp cotton shade. A fabric cord and pull chain complete the look. 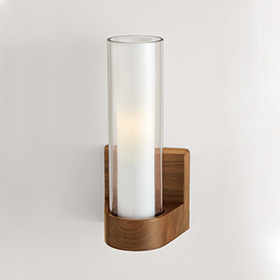 This modern sconce is a space-saving solution next to a bed or flanking a sofa. 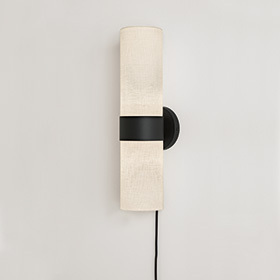 With a four-foot reach, this modern wall sconce can easily provide lighting over a sofa or dining table without taking up valuable floor space. 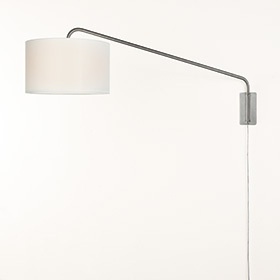 Rowland's steel arm swings from side to side, which allows you to adjust the placement of the light. The drum shade casts a warm glow over the room and it has a diffuser to soften the light from the bottom. Our generously proportioned Rayne sconce does double duty by adding both downward, direct lighting and a soft, ambient glow to your room. 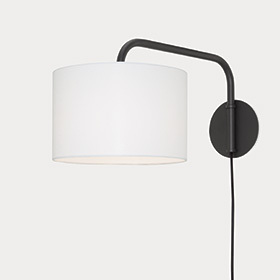 The steel arm swivels side to side, allowing you to focus the light, and a cord-mounted dimmer switch adjusts the brightness. 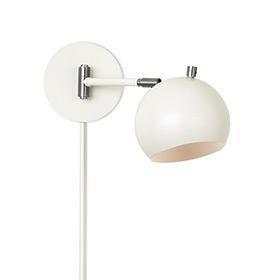 If you're looking for flexibility, these dual function sconces are the ticket. Their ability to plug-in or be hardwired offers endless possibilities. 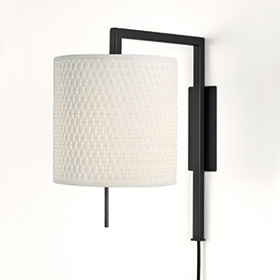 The Kenna sconce features a modern, geometric design. The linen shade glows beautifully when the lights are on. It can be either plugged in or hardwired, allowing you to use them next to a sofa, in a hallway or in pairs next to your bed. Japanese lanterns were our design inspiration for the exclusive Cedric wall sconce. The fabric shades create diffused light that add soothing ambience and two LED bulbs shine light downwards and up to the ceiling. 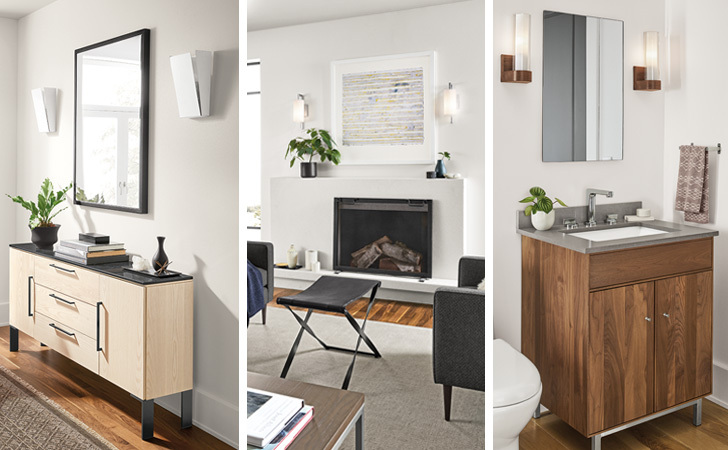 With a nod to mid-century design and retro style, we designed our Camber sconce with modern functionality. This powder-coated steel light is crafted in Vermont and features an adjustable shade to direct light exactly where you need it most. Looking for tips on how to layer light in your space? Check out this guide to become an expert or contact one of our design associates for free, personalized advice.